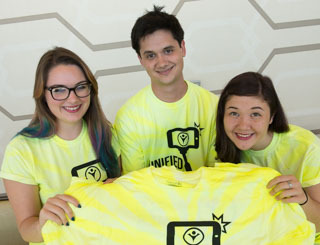 Volunteers at Special Olympics events find many opportunities to cheer. 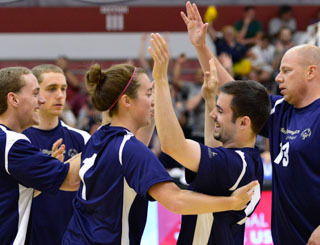 Team sports such as volleyball are perfect for Unified Sports, where teams are made up of people with and without intellectual disabilities. Swimming is one of 30-plus sports that Special Olympics athletes train and compete in. 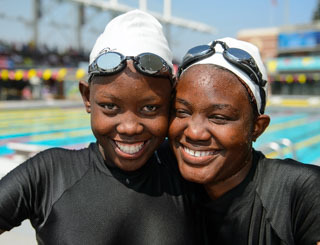 People with intellectual disabilities can become one of our athletes in 172 countries worldwide. 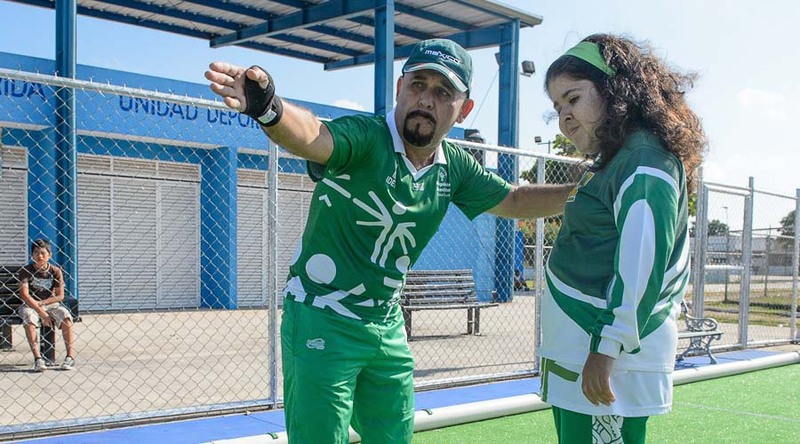 Coaches are volunteers who play a unique role in the life of a Special Olympics athlete. 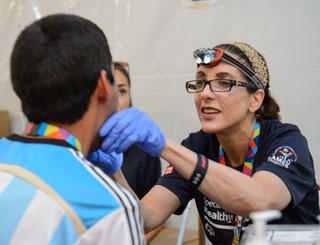 Health care professionals worldwide volunteer their time and experience to offer free health examinations for Special Olympics athletes. People in high school and college can take part in activities that have a meaningful and positive effect on the Special Olympics movement. 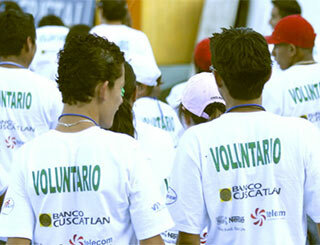 Special Olympics has programs for people with intellectual disabilities from age 2 and on. 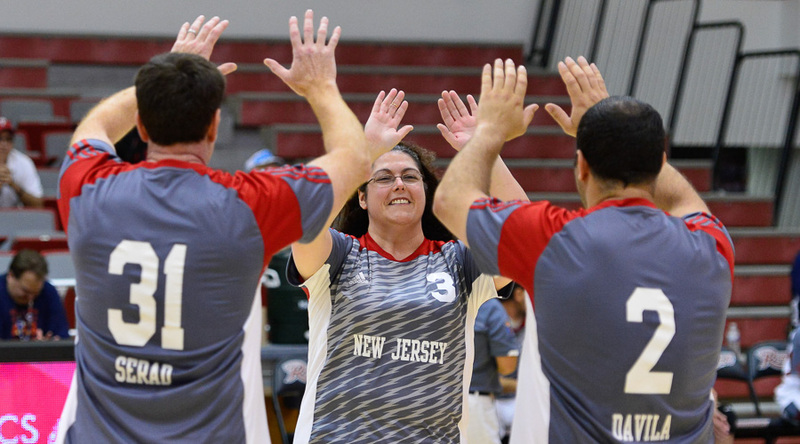 No one is too old to be a Special Olympics athlete; most of our athletes are 18 or older. To get involved, get in touch with the Special Olympics office nearest you. You can learn more about our athletes and what they do. 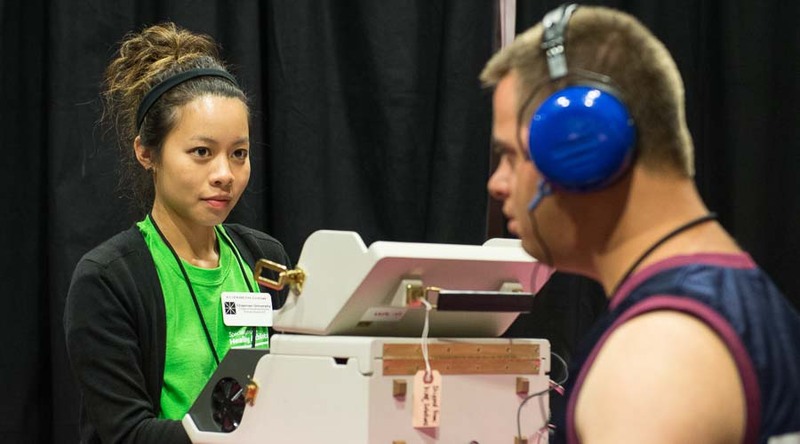 Special Olympics is serious about its sports. The organization has a bold plan to have many more athletes, and that means we'll need more coaches. There will be more competitions, and that means we will need more officials. 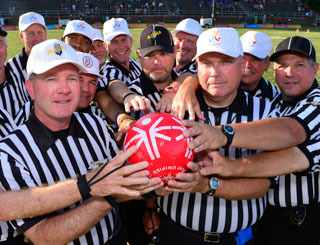 If you have an interest or background in either being a coach or official, find the Special Olympics office nearest you. 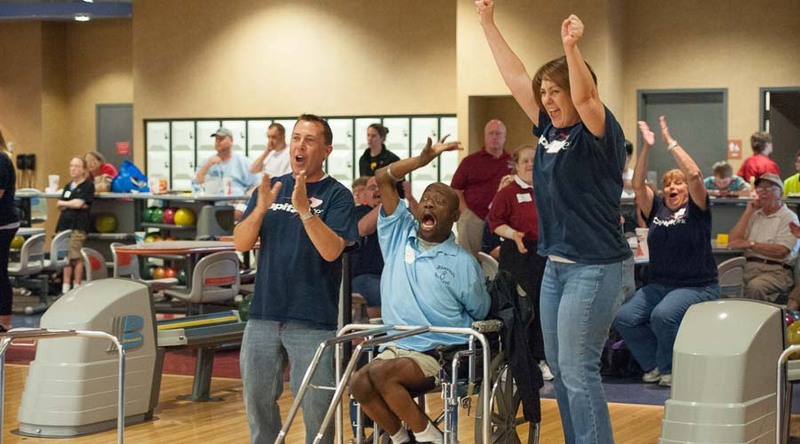 Special Olympics has tens of thousands events and competitions a year in places all around the world. 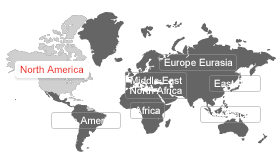 Go to the Special Olympics Global Calendar to get a sample of the Special Olympics events happening around the world.